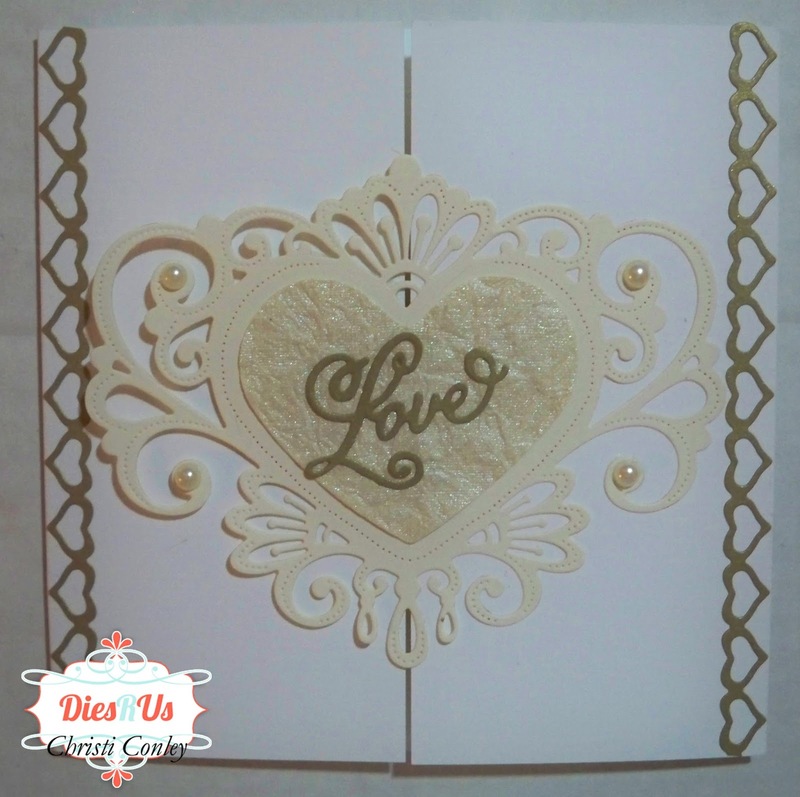 Hey all, it's Christi here today with a romantic, any occasion card. Honestly, at my age most of my friends and family are already married, but I still get the desire to make some sweet wedding type cards. 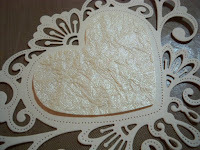 I've been obsessed with doilies and all things romantic lately and this is certainly reflected in my card. As I said, I have had this card idea rolling around in my head for a while now. I splurged on a bunch of goodies from the Dies R Us store and the dies used here are part of that haul. I made my own gate fold card (for the very first time!) 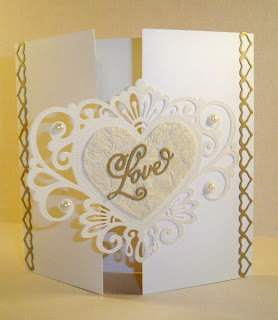 out of sturdy white card and then cut the main heart die out of vanilla card. 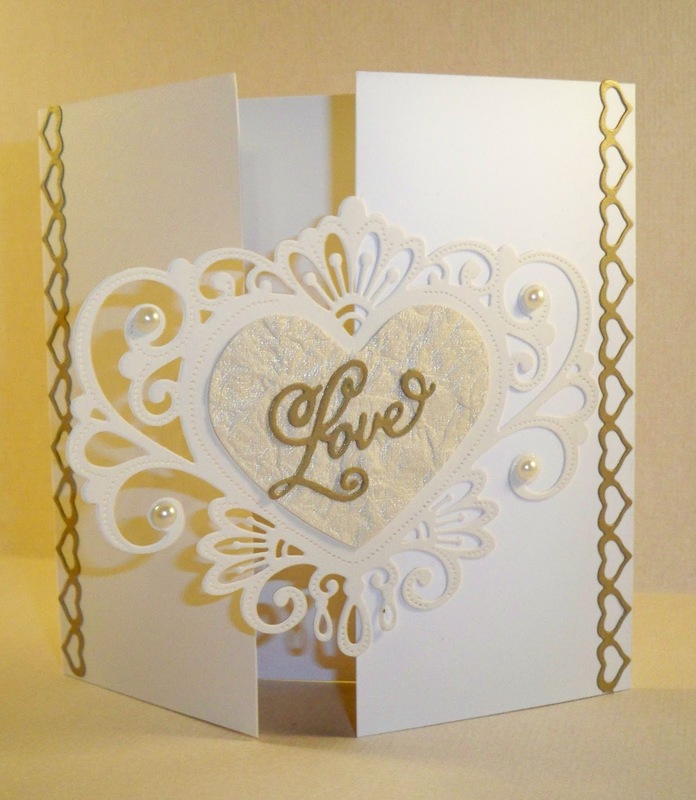 There are 7 dies in the Jewelled Heart set, so I used another of the dies to cut out a textured, shimmery, off white heart and placed that in the center heart of the main die cut. I then cut the love die out of subtle gold. 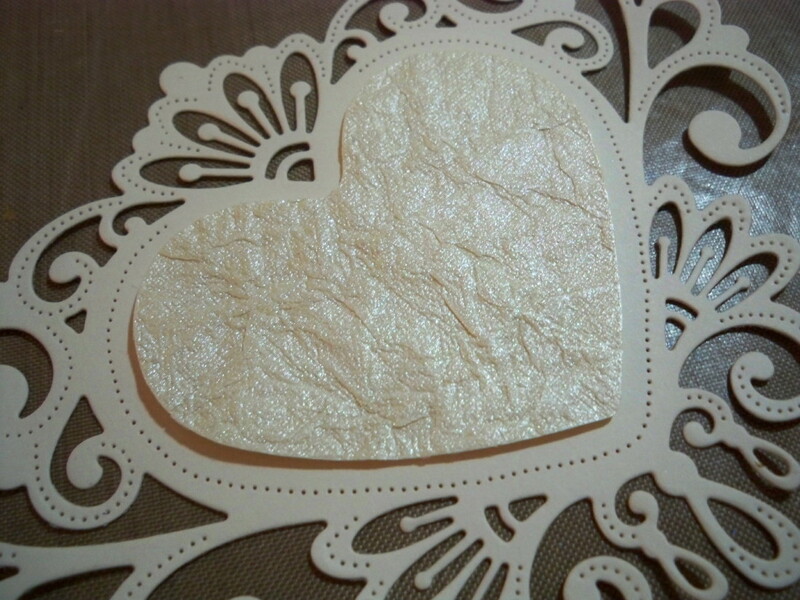 I glued the sentiment onto the textured heart and set the main die cut aside. 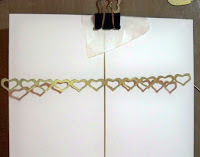 I cut two of the heart chain border out of the same gold card and attached them to the sides of the card. Since the card was already folded, I came up with an idea on how to keep the "doors" closed and stable while I attached the chains. Using 2 small bulldog clips (with waxed paper between the clip and the card - I've ruined SO many cards by not taking that type of precaution!) I clipped the doors closed. That trick helped make attaching the heart chain super easy! 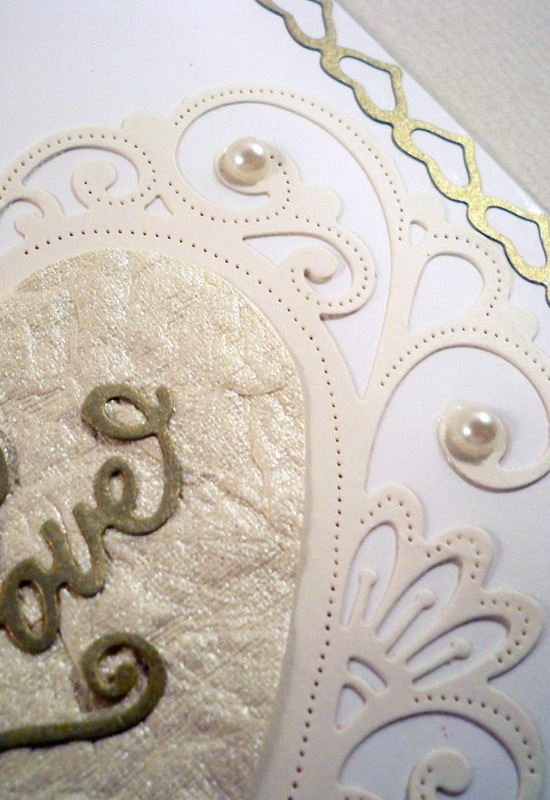 One of the things that drew me to this die was all the detail and little extras; I added some of my own little extras by attaching some white pearls strategically around the design (the little stitches just make this design look that much more special)! Finally I attached the main heart die cut to just one side of the card; so the card opens up with a gate fold. So beautiful Christi and awesome design! Fabulous inspiration ... thanks! 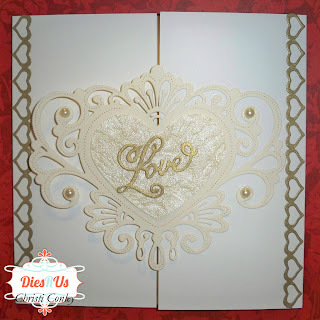 What a gorgeous card Christi! So elegant!! Stunning and so elegant, Christi! Love the texture you gave to the heart. it is elegant, and I love gold!